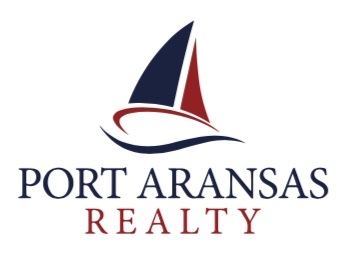 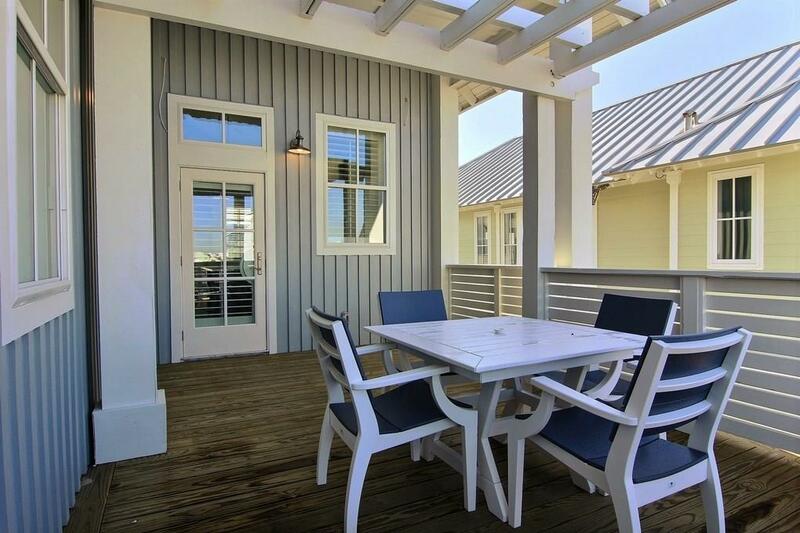 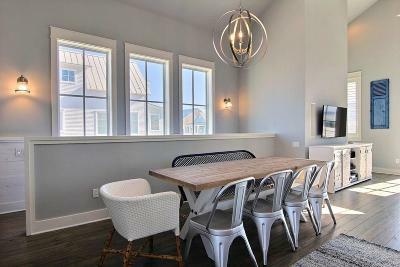 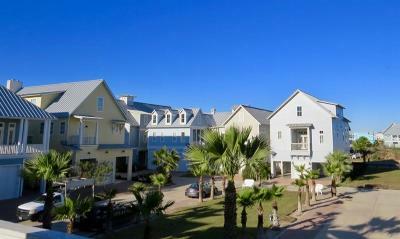 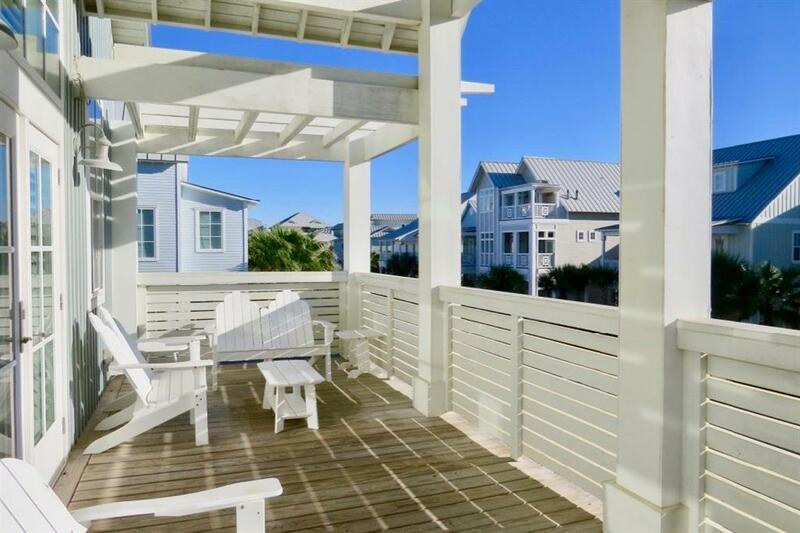 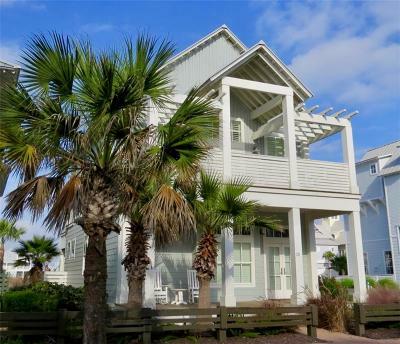 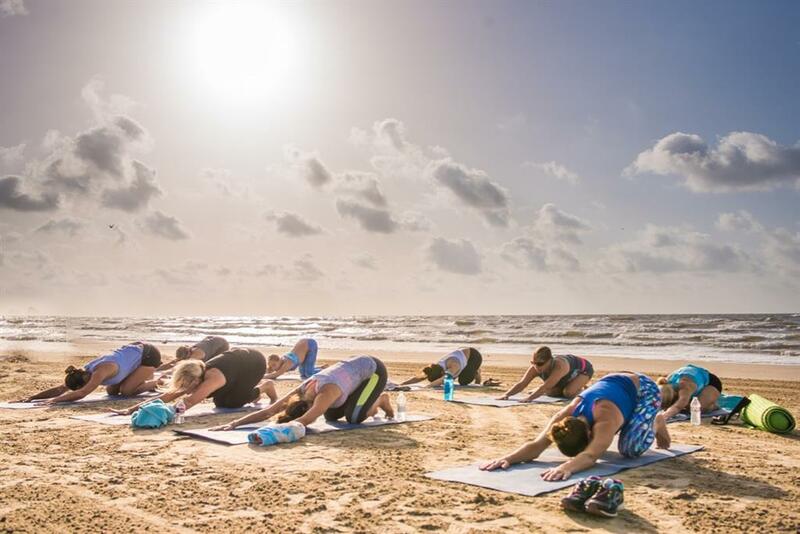 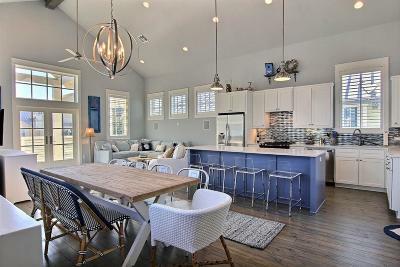 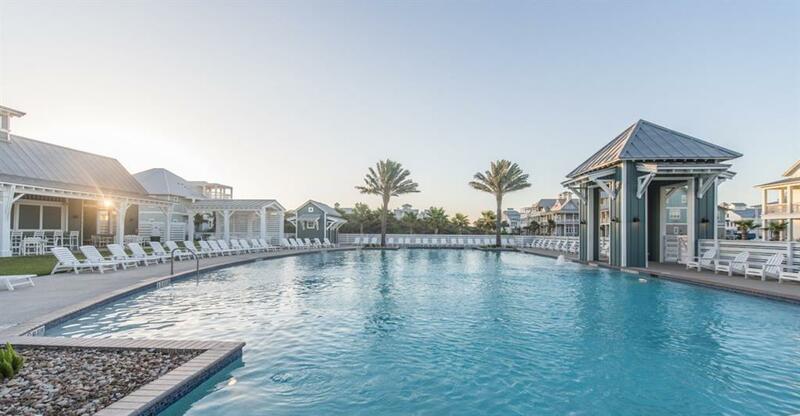 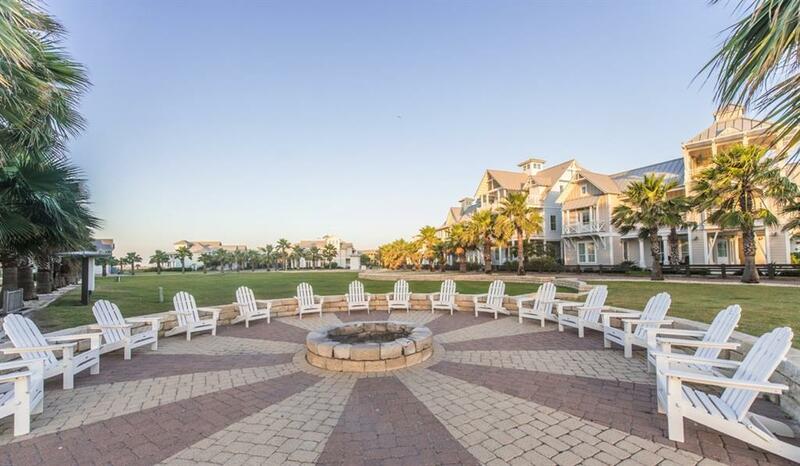 This 2000+ square-foot beauty, just a block from the beach, boasts professionally decorated interiors, plenty of room for family and friends, and the decks for evenings at the shore. 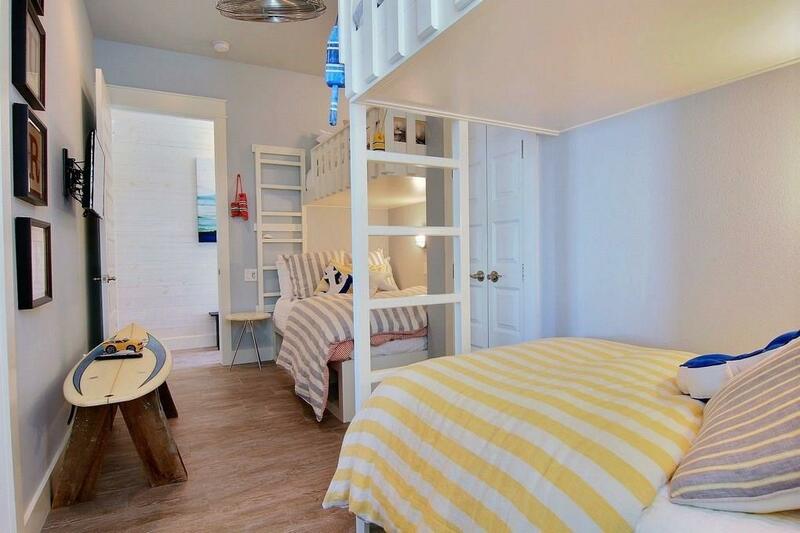 It accommodates two families with four bedrooms, and 15-foot ceilings in the main living area. 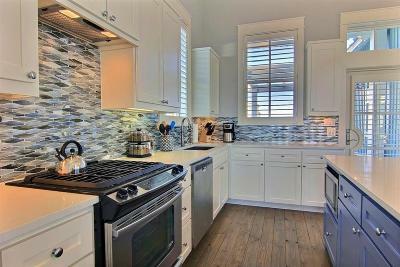 A fantastic, state-of-the-art kitchen offers everything a cook would need. 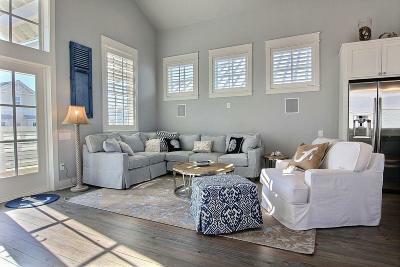 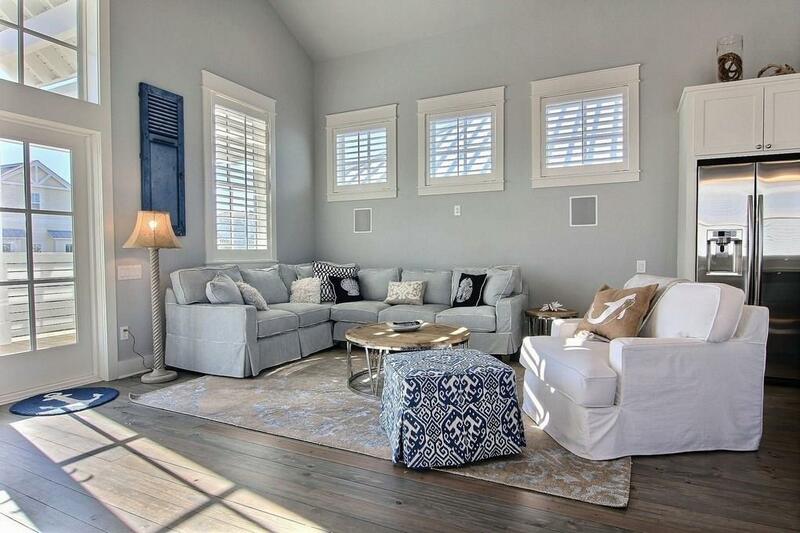 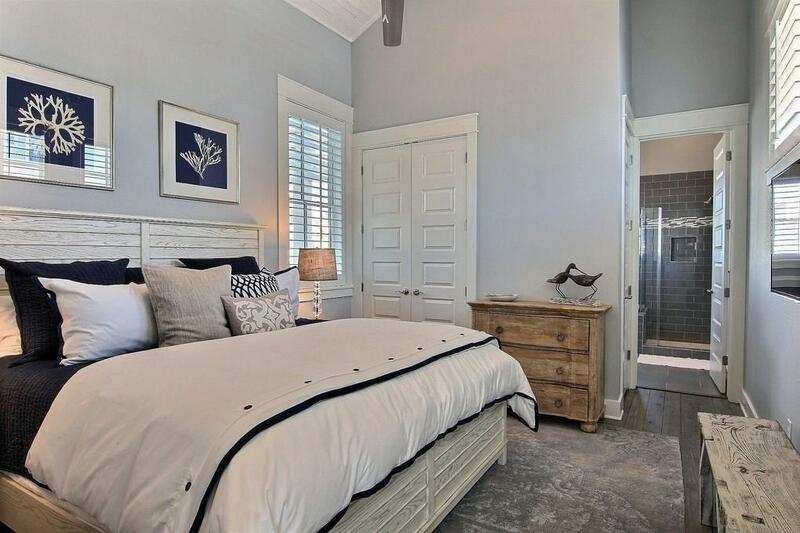 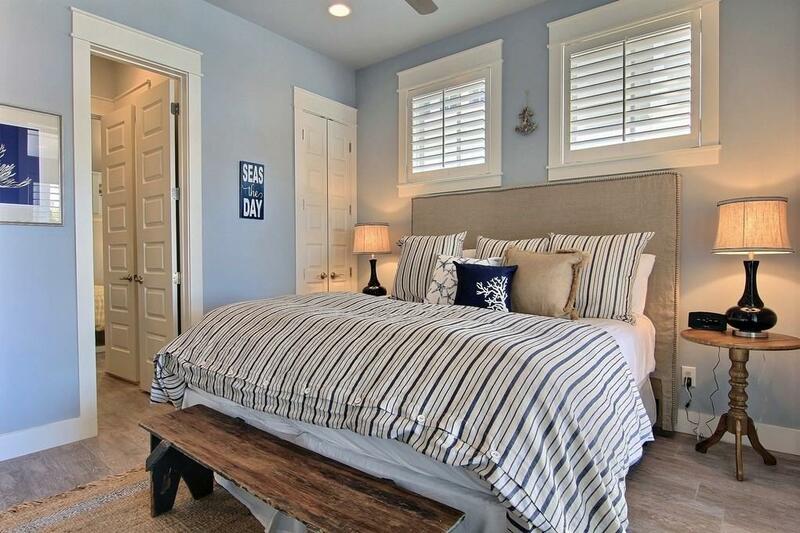 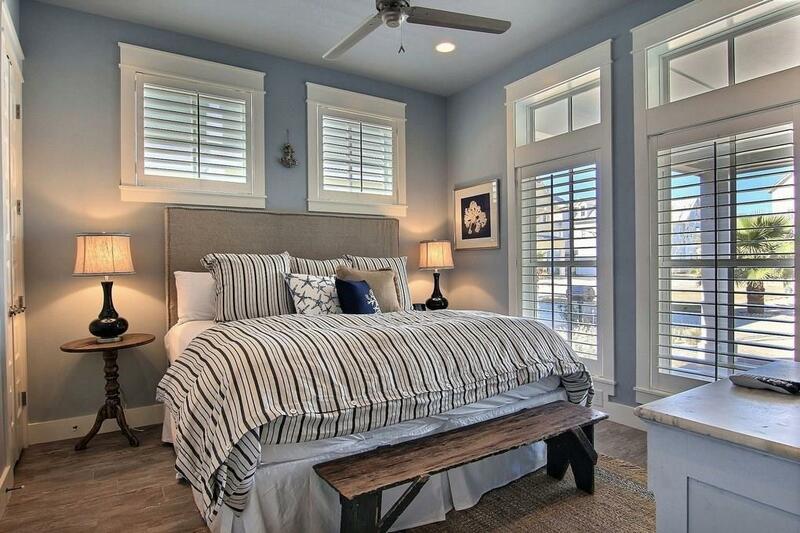 A palette of grey, navy, & white feels serene, while a periwinkle accent color brightens things up. 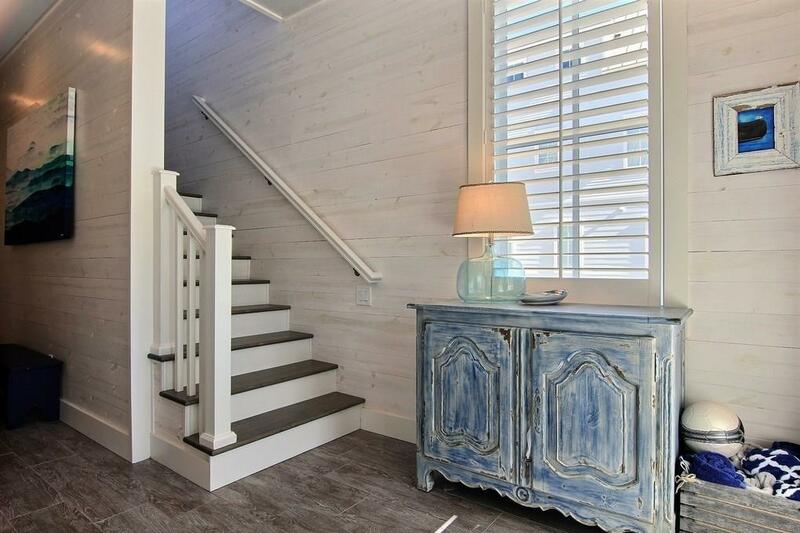 Elegantly framed shell and coral-theme art feels beachy, while shiplap accent walls lend a farmhouse element. 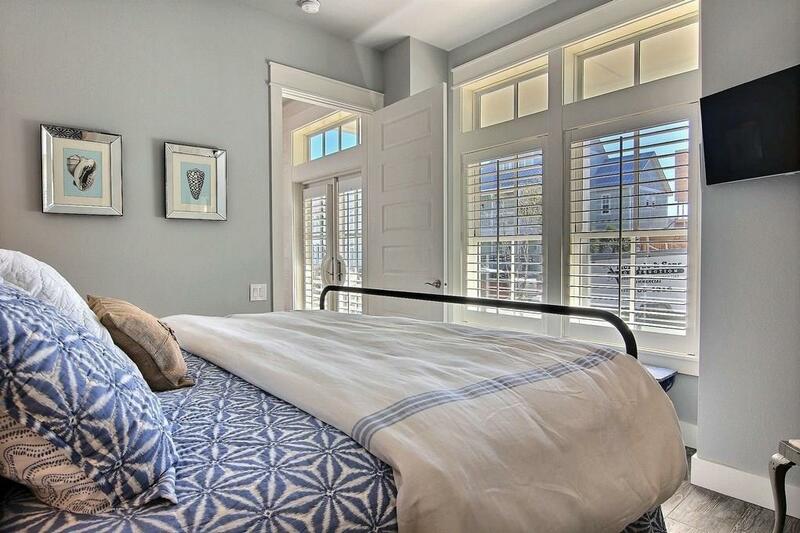 Three bedrooms feature king beds with designs that include a wooden shiplap style, a black, and wrought-iron bed frame. 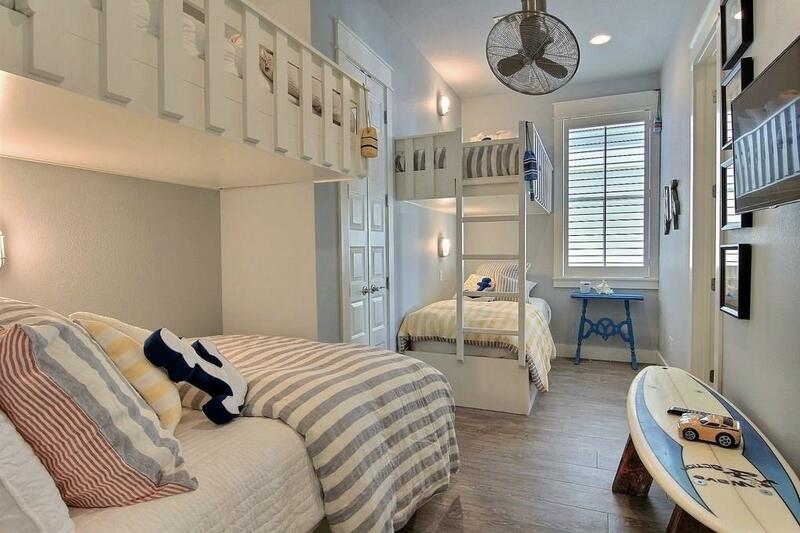 The fourth bedroom is a fun bunk-room with two sets of bunks. 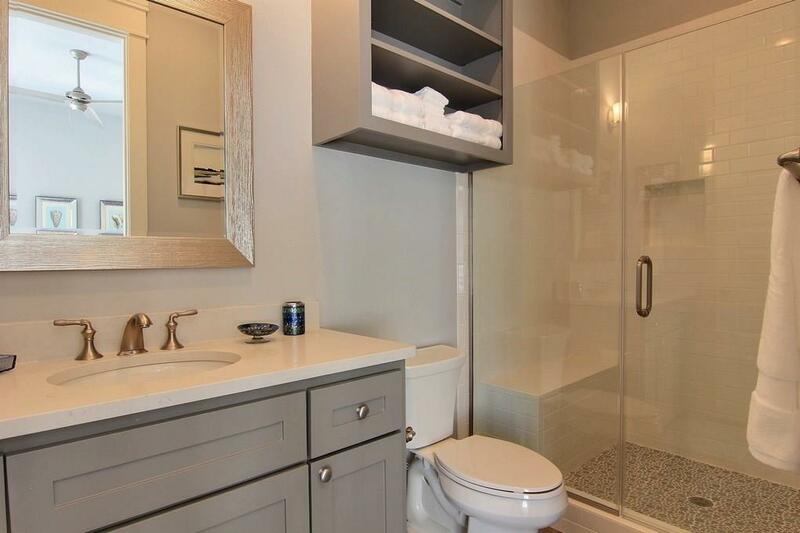 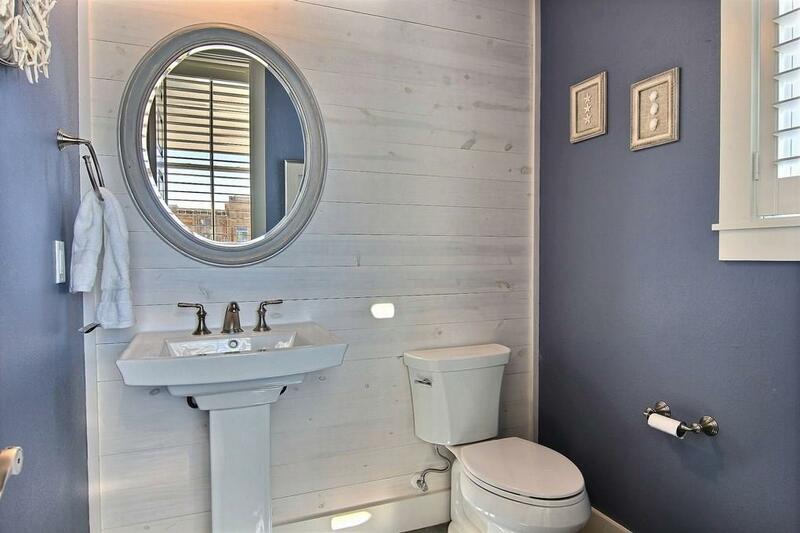 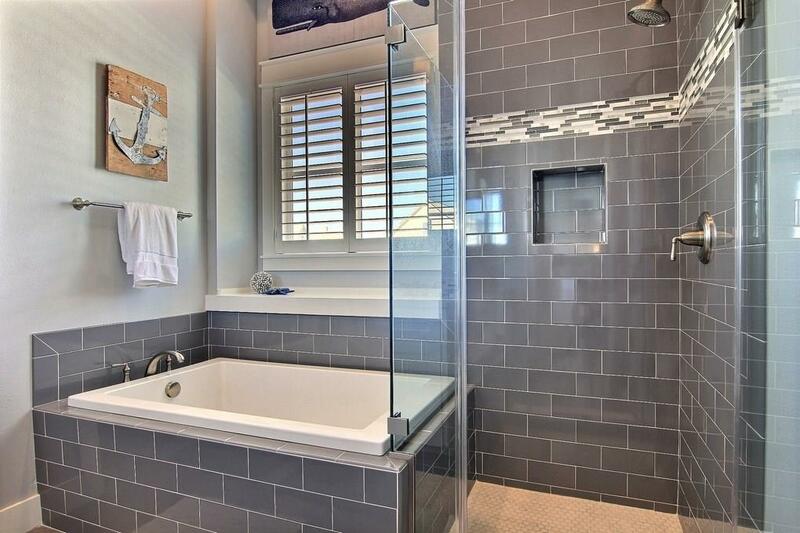 All bathrooms feature lovely tubs or walk-in showers. 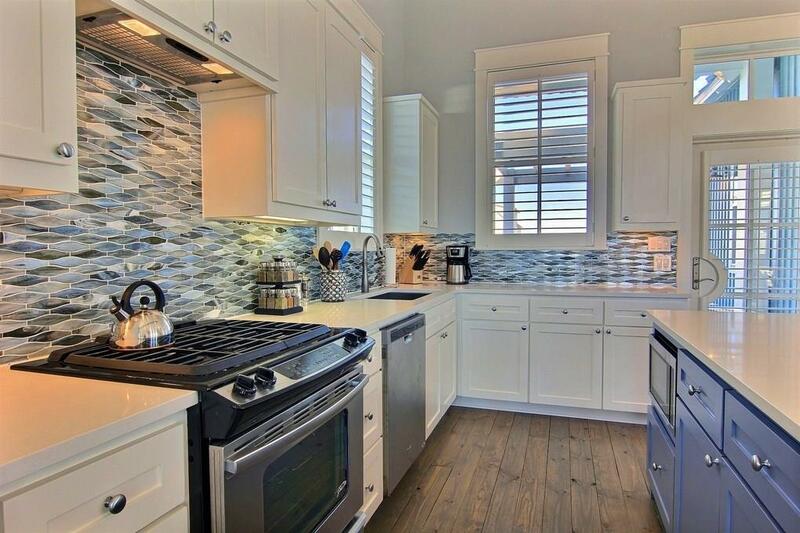 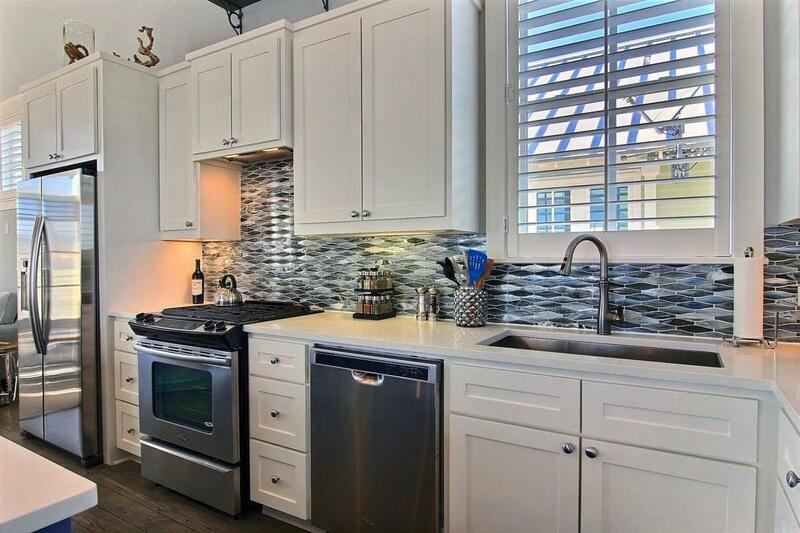 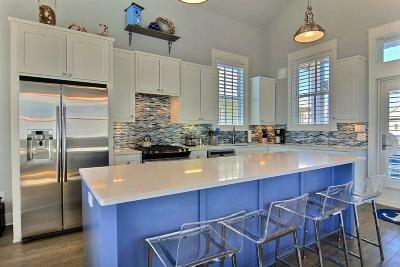 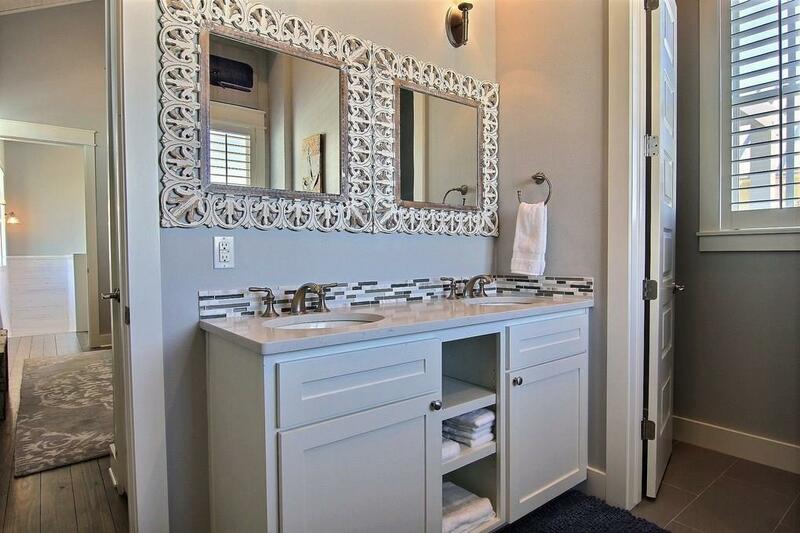 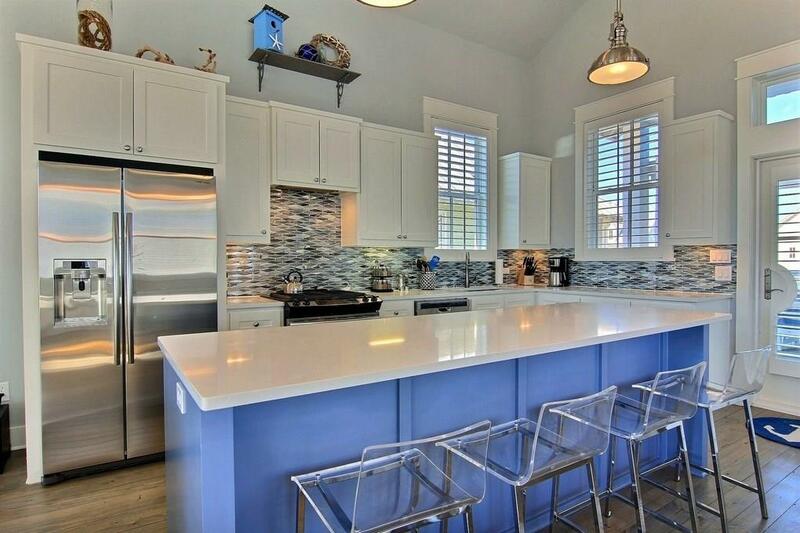 Creative tilework in bathrooms and in the kitchen add to the overall look of beachy elegance. 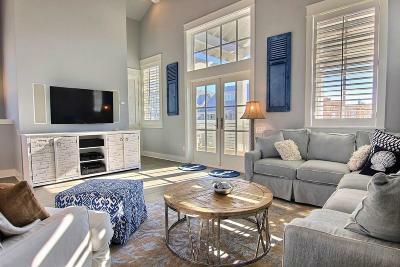 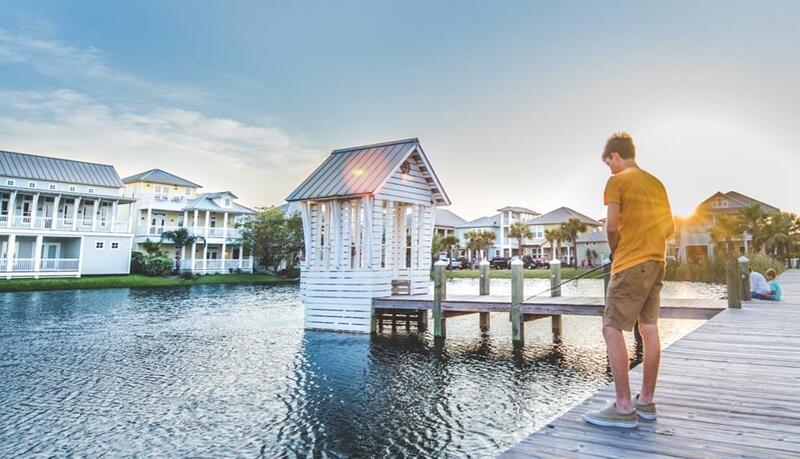 Enjoy a high-tech, 5.1 home theater system and all the amenities that you'd expect at Cinnamon Shore.